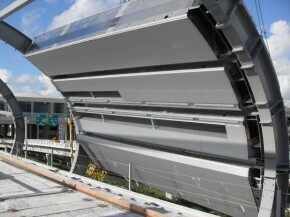 Miami Airport Metrorail Station, designed by architects and planners Perez & Perez, is the first main component being built for the Miami Central Station in Florida. 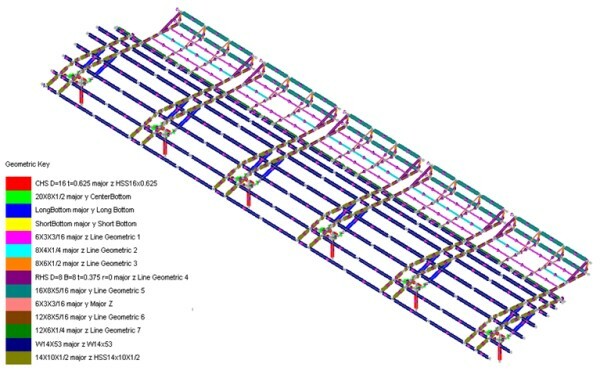 Genesis Structures used LUSAS finite element analysis to assist with its design of a variety of canopy structures and roof panel components for the project on behalf of its client, internationally acclaimed engineering and fabrication company, Zarner. Located next to the Miami International Airport, the Miami Intermodal Center is a massive ground transportation hub being developed by the Florida Department of Transportation. 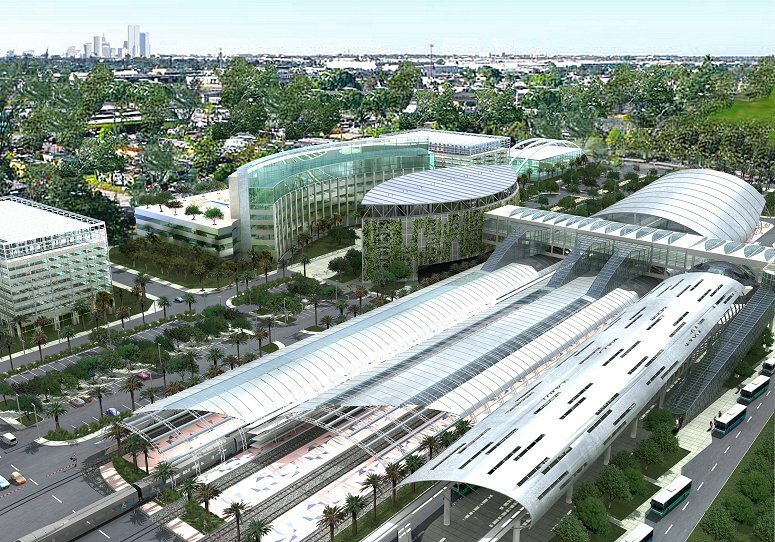 The Miami Central Station forms a major part of this development that, when complete, will connect the various transportation systems of Palm Beach County, Fort Lauderdale, Miami, and the Florida Keys. Zahner was awarded the construction contract for the engineered roof system for the main canopy of the Metrorail Station, the South canopy and the bus station canopy structures. Genesis Structures was selected by Zahner to provide structural and erection engineering services for this work. 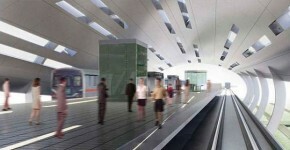 The slotted canopy of the Metrorail Station is the most prominent feature in the station complex. 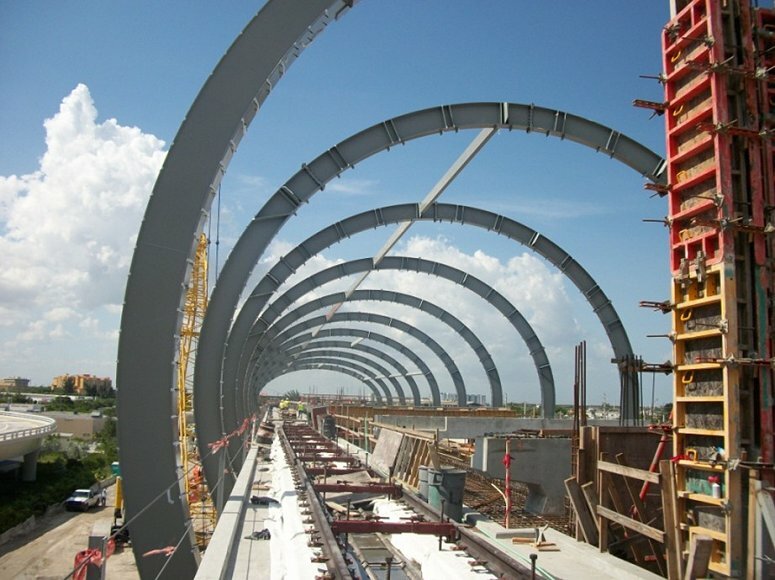 With a length of nearly 500 feet, the structure consists of eleven structural steel ribs, each of an elliptical profile, that are connected via baseplates to an in-situ concrete framing support system. In designing the ribs Genesis worked closely with the steelwork fabricator Columbia Wire & Iron to develop details that accommodated their preferred fabrication methods. Specially designed structural aluminum roofing panels span between ribs to provide protection for the station concourse. Perez & Perez�s design of the canopy called for a planar roof structure that twists along the horizontal axis of the canopy. This roof structure was designed with Zahner as a structural aluminum box system approximately 60 inches in depth, spanning approximately 43 feet, with full-depth slots to allow natural light penetration into the station beneath. 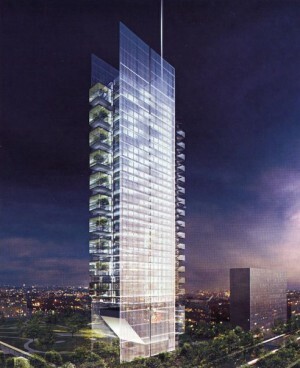 The South Canopy contains elevators, stairs and escalators which provide access from ground level to the main canopy. It is designed as moment resisting steel frame supporting the aluminum wall and roof panel system. 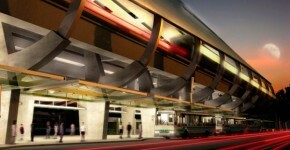 The aerofoil-like Bus Station Canopy structure provides access to the main transportation hub for bus passengers. It consists of a structural steel frame covered with full-depth aluminum roof panels clad in a propriatory stainless steel finished skin. 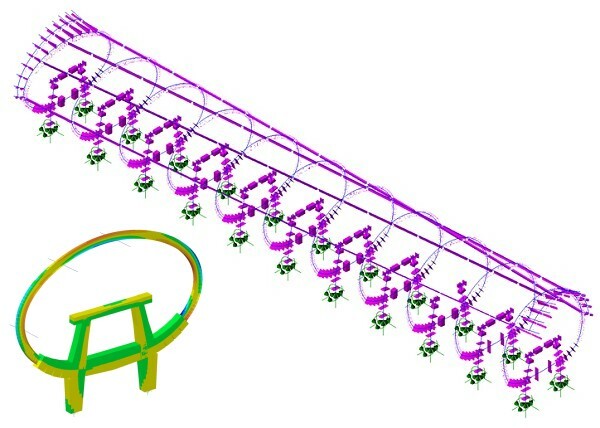 Its design required careful coordination between Genesis Structures and the engineer of record for the lower portion of the Main Canopy due to the partial support conditions provided. Special evaluation of wind loading on the large horizontal surface was also undertaken and coordinated with the wind consultant, RWDI. Designing the various roof panels for this project presented a particular challenge. Because of the station�s location the structural components are subject to some of the most severe wind loading in the United States. From scaled wind tunnel analysis performed during the preliminary design phase of the project, design wind pressures were arrived at for use on the structural and cladding portions of the structures. The maximum design wind speeds of 150 mph that were used generated design cladding pressure loading of nearly 130 pounds per square foot. 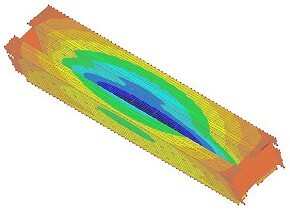 LUSAS models of representative panels were built and used to assess deflection and other criteria. 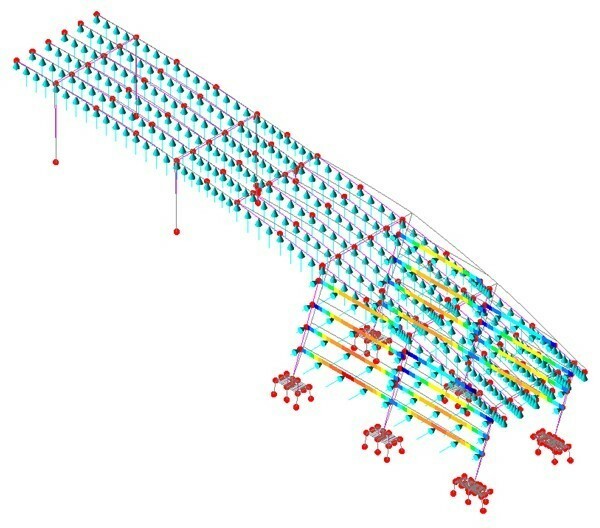 "We used LUSAS to model all components of the Miami Airport Metrorail Station structures that we were involved with. It allows easy importing of complex geometry models and lets us apply all code-required load combinations in a very straightforward way."